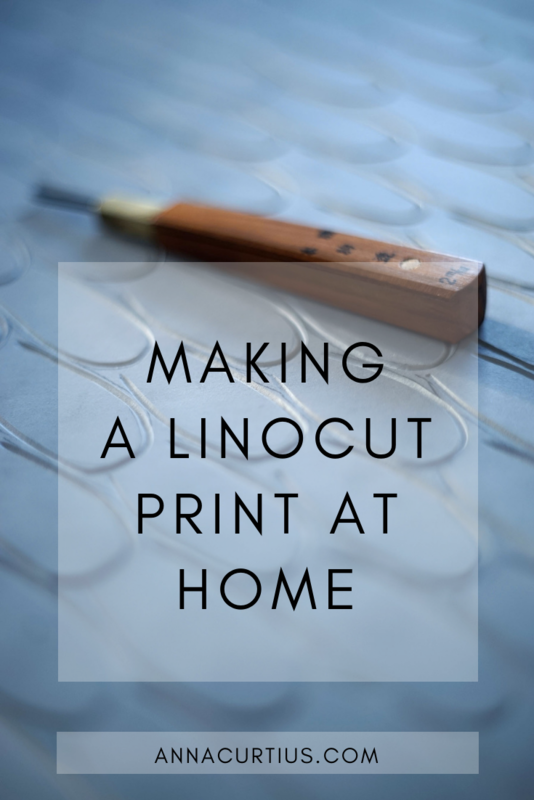 In this post I will explain the basic steps of making linocuts at home without a press. 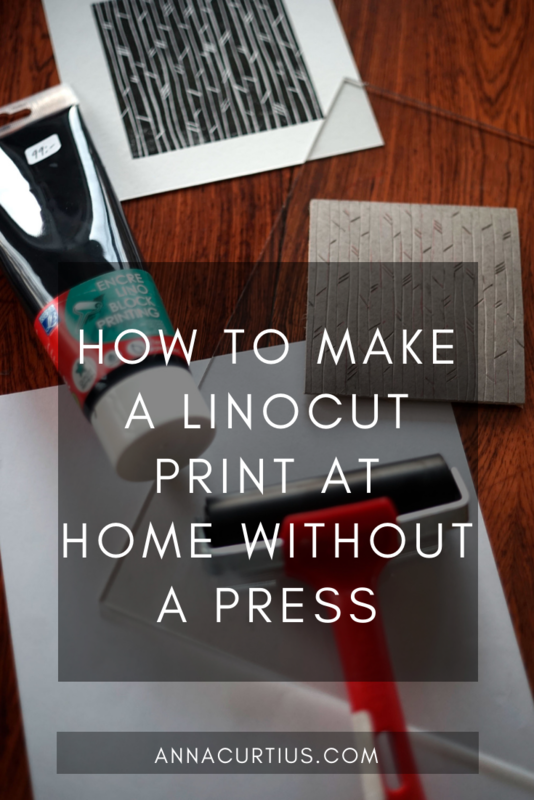 I love the craft of linoleum printing and I hope you will tempted to try it as well. I have a variety of carving tools in different shapes and sizes. I started with pretty cheap and basic ones but quite soon discovered that I needed sharper and more precise tools to be able to create the kind of art that I want to. I mostly use my Pfeil tools which I love. 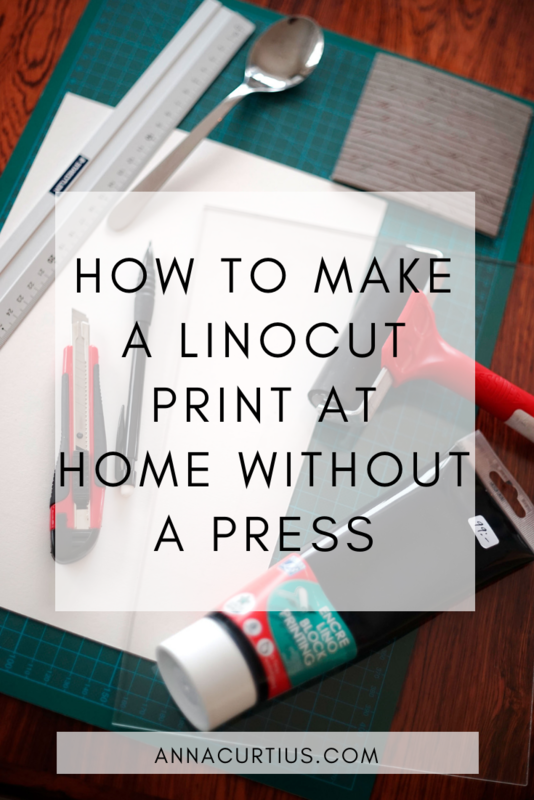 I usually use 3.2 mm linoleum for printing. Be sure to get ones that are fresh, the old ones tend to crumble. At home it's possible to warm up the linoleum in the oven. If you want something softer to carve in there are several different brands such as Adigraf and Softcut that offer softer alternatives for block printing. I use a bench hook when I carve smaller blocks to protect my hands. A non slip mat underneath the linoleum can also be of help if you don’t have a bench hook. At home I use a basic 10 or 15 cm brayer, a rubber roller from Essdee and waterbased ink from Daler-Rowney or Lefranc and Bourgeois. I prefer to use water based inks at home since they are easier to clean. I roll the ink onto 3mm thick plexiglas plate that I bought at the local supply store for artists. Most of the time I only add some guide lines using a pencil straight to the linoleum and then create the art as I carve. That is how I made the print below. When I have a design that I want to transfer to a plate I use either a carbon paper or trace it with a pencil. The smaller prints I ink and press at my kitchen table. I roll out the ink on 3 mm plexiglas, it has a smooth surface and is easy to clean afterwards. The ink must be evenly distributed on the roller and it must be smooth. 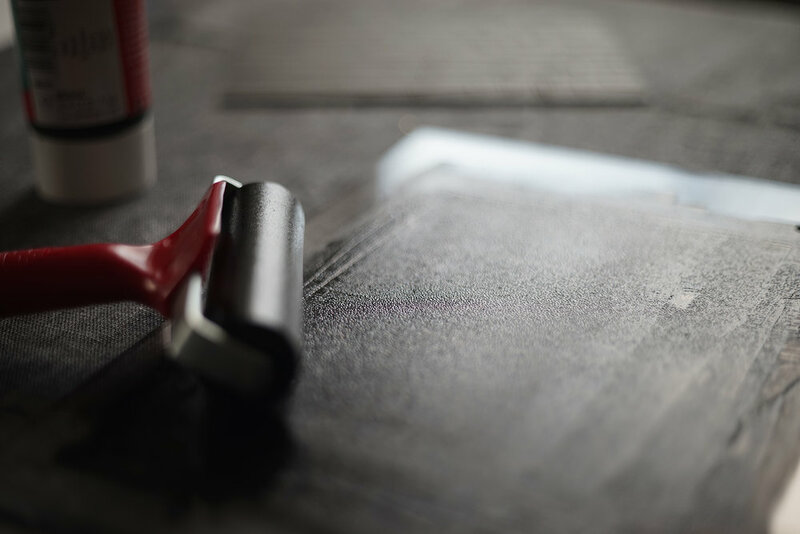 If it is too sticky, traces will be made by the ink and it will stick to the edges where you have carved, making the print messy. When printing prints sized 20x30 cm or smaller I use my kitchen table and a spoon. You can use a wooden spoon which is more common or a baren. For me, a cutlery table spoon works best with the paper and ink I use. Below are some of the prints that I've made at home during the last year. I enjoy repetition and the variation and complexity that can arise from one similar element and movement when creating. 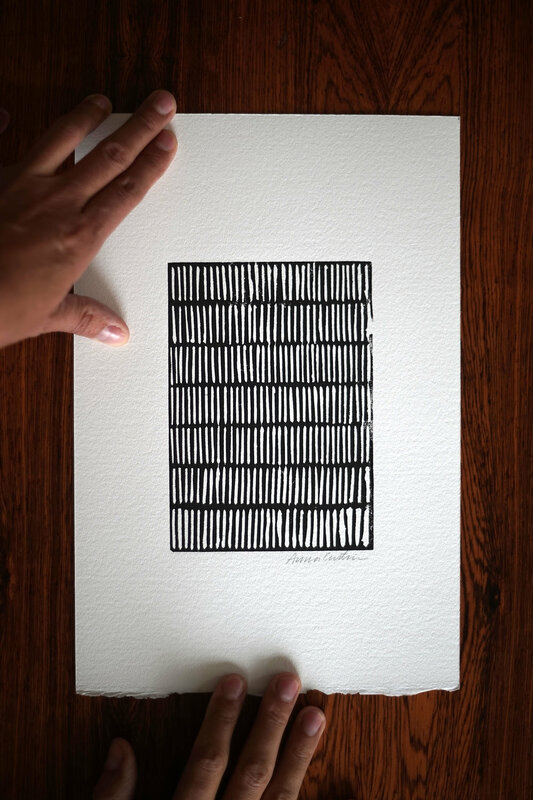 You can see that my prints below are all created by the repetition of elements. I would love if we could connect on social media!